RAS-Extend is a mechanical auto tracking system specifically designed to extend high-speed and reliable TCP/IP transport to mobile assets including land vehicles and marine vessels. 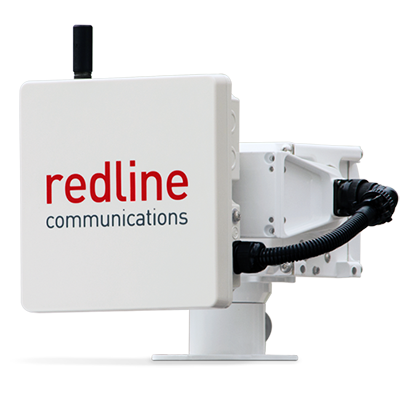 Easily operated by non-technical personnel with no special training, the RAS-Extend is stabilized auto-tracking system that automatically obtains and holds a reliable high-speed connection to the fixed Redline wireless network. Redline’s RAS is the perfect solution for constantly moving assets. This FIPS-140-2 certified, extremely powerful and ruggedized mobile broadband solution is the best solution to reliably transport to any combination of voice, video, and M2M data (e.g., SCADA) to mobile assets.